Now I find that the negative cable is too short because of the length of the new battery. I bought a 32" cable that should do the trick, but want to rout it correctly. The old cable went from the battery post to the block under the alternator, almost a "straight" shot because it was only about 25". With the new one I'll have some slack and want it to stay away from the alternator and at least make it look neater. Couldn't find any pictures either. Not a big deal, but want to try to keep it "right". 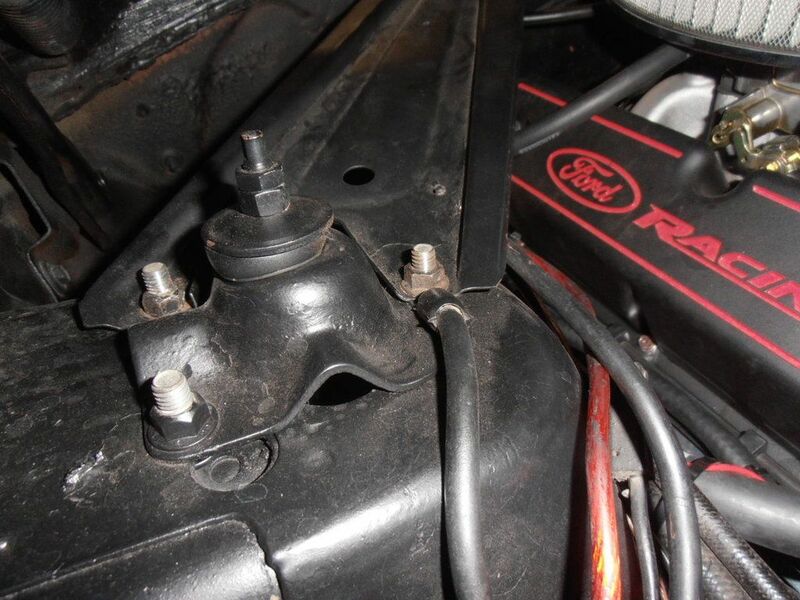 Not sure if you bought a NOS FORD, "MartiAuto Reproduction" (as they route along the innerfender, WITH a "secondary ground" for the voltage regulator" and go to the SAME block ground bolt. 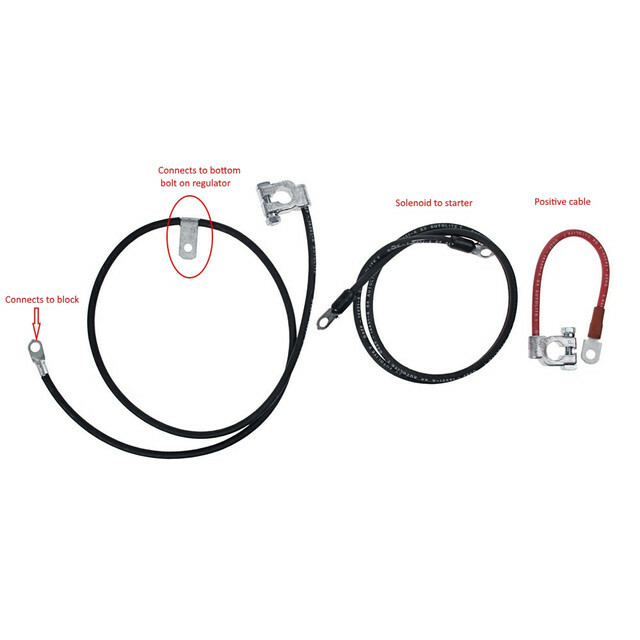 IF you bought a universal wire you can again route it that way -BUT if it "happens to be red" you should use black tape to ID and "hide" in the compartment. P.S. My guess is you have the hold down with the secondary support that goes to the innerfender forward of the selenoid. The original route was battery -> lower bolt on voltage regulator (battery to chassis and engine to chassis ground) -> the block. Its so critical that even though I have the cable with the ground lug attached to the apron, I also ran a separate wire for added ground. (03-31-2019, 05:29 PM)Hemikiller Wrote: The original route was battery -> lower bolt on voltage regulator (battery to chassis and engine to chassis ground) -> the block. My original grounds only ran from the battery to the block, ( battery negative cable), and a smaller wire from the alternator "G" lug to a voltage regulator attach bolt, and I never had a problem. My original question was only trying to get info to correctly rout the battery ground cable neatly to the block, have I had everything wrong all these years? Disclaimer: this is the way it was wired when I bought it in '13. 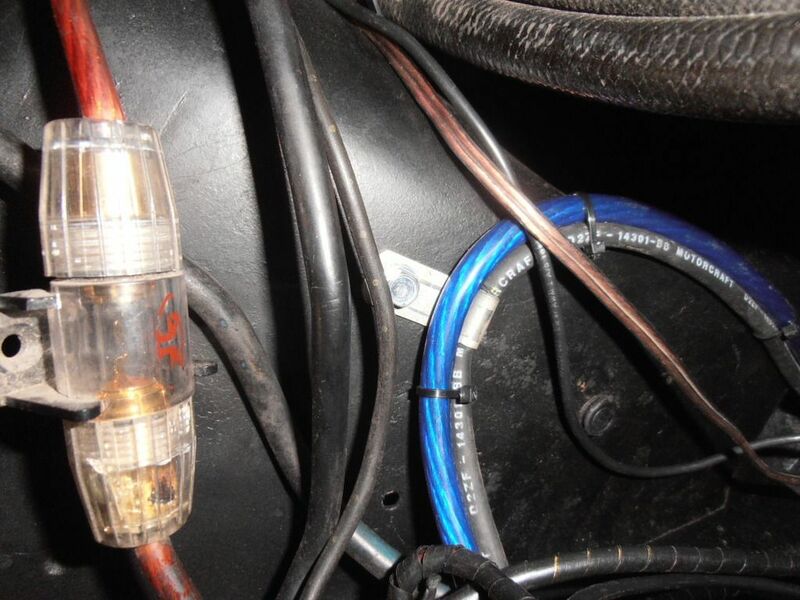 Without a good chassis and regulator ground the alternator won't charge correctly, lights will have problems, as well as any other electrical accessories. Thanks for the heads up. I must just be lucky I never had any charging problems. The negative cable I bought also has a "pig tail" with a female connector that originates at the clamp for the negative post. Do I find a male connector, splice it on a wire, connect it to the female connector on the cable and then to the VR bolt? I didn't see any tab on the cable on the CJ link you sent.